This August marks the launch of a new series on the blog - Flourishing Entrepreneurs. I have been so inspired by female entrepreneurs over the last few years that I wanted to find a way to showcase and celebrate what they are doing and hope that their journeys, insights and resources might inspire you too. Working for yourself, whether you're doing it already or aspiring to in the future, can be a very lonely experience if you don't reach out and connect. But through the magic of the internet, social media and incredible networks and coaches you can discover a world of support and inspiration you never knew existed before. My Flourishing Entrepreneurs series will introduce you to incredible women who have started their own businesses. I'll talk with them about how they got started, what jobs they were doing in a past life, what the voice inside their head tells them and dig into the resources and tips they can offer you on your entrepreneurial journey. I'm thrilled today to introduce my Flourishing Entrepreneur #2 Lauren Barber, an entrepreneur who's many talents define a job title! This written interview will be paired with a live chat with Lauren on my Instagram account on Wednesday 22nd August 2018, so make sure you're following to ask Lauren some questions yourself and join the conversation. Who are you, what is your business and what job title do you have? 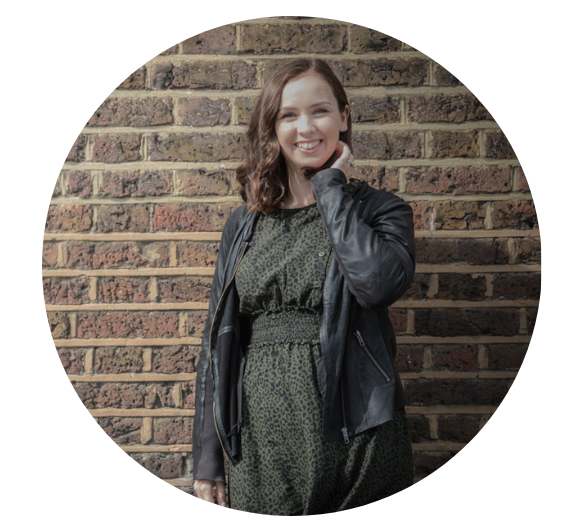 My name is Lauren Barber, my business is a multitude of magical things… yoga and meditation teaching, coaching for women, content creation for health and wellbeing brands as well as writing and podcasting. I honestly don’t have a job title. I have battled for several years with trying to put myself into a ‘box’ to label what I do - and because I have a varied lifestyle and crave different things, I am finally in a really wonderful place of accepting that I don’t need a job title and I can just be ME! What were you told about work growing up? I felt that the busier and more packed my life was, the more people would see that I was a hard worker, and the more people would see me as ‘successful’. When I was at school I knew I wanted to work with horses and was very determined and focused, so I don’t remember anyone suggesting anything else to me. In fact throughout my teens and twenties I was very certain about my career path, it was actually as I approached my thirties I questioned it. Before I worked in the way I do now, I ran my own PR & Marketing Agency. How has your mindset changed around work since then? Through frazzling myself by working every hour under the sun (and moon!) I realise now that there isn’t always a need to hustle hard. I believe there is a beautiful balance of working and taking action, as well as resting and replenishing so that you stay connected to your joy. I also now realise, through extensively re-educating myself around being a woman, that hormones and cycles can play a huge role in the way we work and the way we thrive in that work. Which means there is a time when we are naturally more able to sustain our energy and work hard, and then there is a time where we must slow down a little and honour our natural body rhythms. When we do this we truly can thrive and take huge leaps in our business and life - without it being of detriment to our emotional and physical health. How do you prioritise your health as a busy entrepreneur? My mornings and evenings are precious and I am very strict with giving myself time to meditate, fill myself up and take creative breaks through the day to do things that nourish my mind. Sundays are also my absolute sanctuary and even when I know that there are things I ‘could’ be doing, I come back to the mantra… I am doing enough… because most of the time it is my own pressures I am putting upon myself. How is your relationship with food? How does food feature in your life and what does it mean to you? Oh wow - this is a big question and one that could take some time to answer! In a nutshell, my relationship with food is complex. I adore food, I get so much pleasure from eating and I adore cooking and creating beautiful nourishing meals for myself and my friends and family. However, food has also caused me stress and anxiety at times when it comes to body confidence, food intolerances and my relationship with eating. I am still unravelling a lot of this and I do feel that it will be a constant work in progress. It changes day to day, but I still prioritise eating wholesome real food, yet I am also at a point now where the prospect of eating ice cream, or a piece of non gluten free/dairy free/ refined sugar free cake, doesn’t fill me with fear. What is your favourite meal, something you would recommend others learn to cook or prepare? Simple foods for me. I adore roasted vegetables with some simple spices such as cumin and paprika served with a lovely piece of salmon cooked in foil with some fresh lemon juice on it. That for me is pure joy. I love middle eastern foods, and my favourite takeaway is from our local Turkish restaurant because it is simply cooked meat, salad and there is hummus involved… hummus is life! That being said - I adore going out and trying foods and new restaurant experiences. Despite being mindful of what I eat, there is very little that I don’t enjoy… apart from horseradish and mustard. My two arch enemies when it comes to food. The voice in your head - we’ve all got one! What negative thing does it say to you most often and how do you overcome it? You need to do more and work harder - hence my mantra of ‘I am doing enough’ being written all over my house, on my phone and writing it in my journal daily. Self-care. 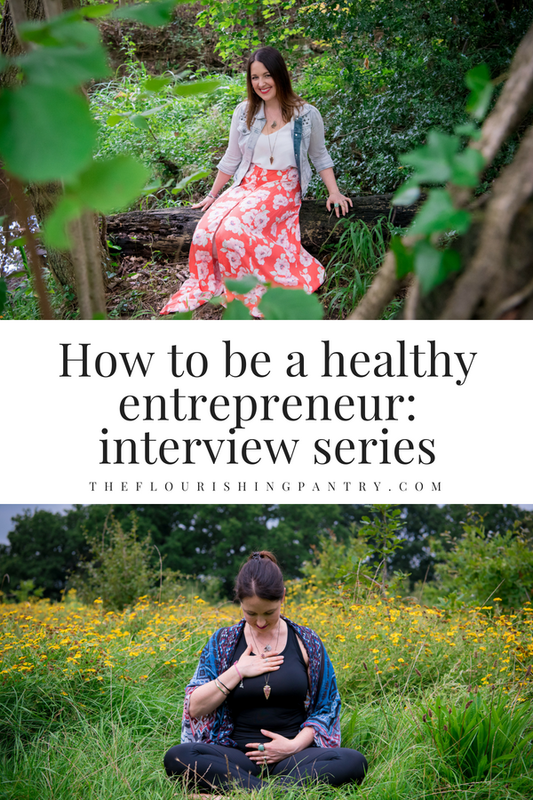 What does it mean to you and what self-care practises do you have to look after yourself as a busy entrepreneur? Self care to me is beyond bubble baths (while they are also lovely). It is about emotional and mental self care which means prioritising my joy and pleasure, filling myself up with creativity and nourishing myself with healing practices such as meditation, time in nature and constantly aligning myself with what makes me feel good. That practice changes all the time - again in line with my natural rhythms in my body. "Self care to me is beyond bubble baths (while they are also lovely). It is about emotional and mental self care which means prioritising my joy and pleasure, filling myself up with creativity and nourishing myself"
Self care is not about waiting until you are depleted to take action - it is consistently building a sustainable practice - which may mean saying no to things, stripping back and simplifying in your life and being fiercely protective of your own energy. Writing in my gratitude journal as soon as I get up and before I go to bed. Moving my body daily - but without pressure on what that looks like. Creating meals that make me smile and bring me joy daily. Strictly keeping Sundays for no work! What one book, video or podcast would you recommend to entrepreneurs? The book I have found most powerful in my own journey is Wild Power - which is from the creators of Red School. This book gives incredible insight into the menstrual cycle and how we can connect to our own superpowers, while also taking care of ourselves. When we listen in and start to honour our cycles in business and work - then the shift in enjoyment levels and wellbeing is dramatic. What one tip, quote or resource would you share with other entrepreneurs to help them on their journey? 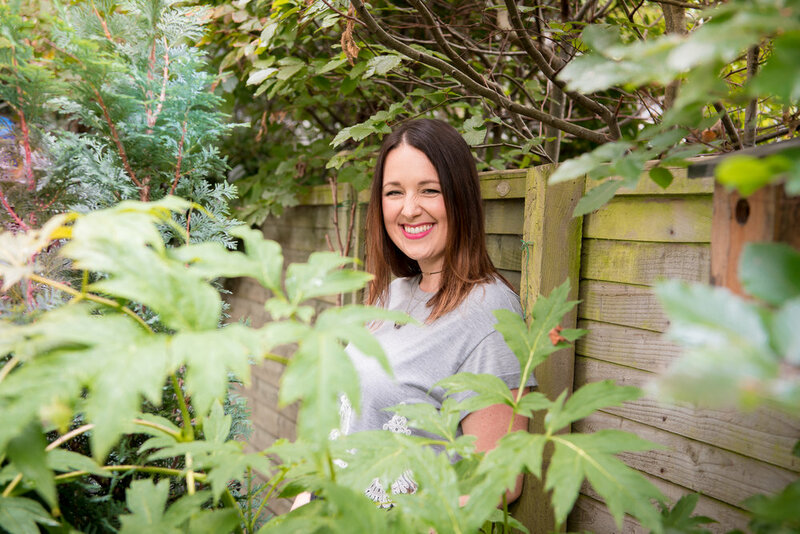 Well, my favourite quote is always… "When Nothing Is Certain, Anything Is Possible…" and that is so true when it comes to business and personal growth. When things feel wobbly, and you aren’t sure what direction to turn in, knowing and trusting that it can pivot and change in an instant is powerful. That and as I said above - ‘I am doing enough’ as a mantra is a constant reminder to check in with what actually needs to be done rather than what I perhaps unrealistically expected of myself. Older PostWhen is enough actually enough?